Who is Mystery Babylon, and What Does She Do? There is a range of teachings on Mystery Babylon, from symbolic to literal. Symbolic interpretations include viewing Mystery Babylon as a conglomeration of false religions, the United States of America, ecumenical “Chrislam”, Roman Catholicism, and others. Literal suggestions include Rome/Vatican City, rebuilt Babylon in Iraq, Mecca, New York City, and Jerusalem. Having looked into all angles, I have come to the conclusion that Mystery Babylon is a literal city – the great city of Jerusalem as it will exist in the end times. The best exposition of this is the book Mystery Babylon by Chris White and I highly recommend it for further study. I will present a summary of the model here. Over 90 specific qualities are given in Scripture to “Mystery Babylon”. That “she” is a literal city is seen when she is burned down and the smoke can be seen from the nearby sea, merchants sell items to it, and it experiences famine. The “great city” is mentioned ten times in the book of Revelation, always in reference to the city of Jerusalem. When speaking of the death of the two witnesses, John writes “and their dead bodies will lie in the street of the great city that symbolically is called Sodom and Egypt, where their Lord was crucified.” (Revelation 11:8). Jesus was crucified in Jerusalem. Revelation 16:19 distinguishes the “great city” from the cities of the nations (Gentile cities). That so much time is spent detailing her destruction (over 2 chapters) signifies its’ importance – it is the culmination of judgment upon a city and nation foretold throughout the whole of Scripture. No other city or nation in the world is so tied in to Scripture than Jerusalem and Israel. This forms our base as Mystery Babylon being the literal city of Jerusalem, as she will exist in the 70th week of Daniel as the head of all cities (yet future). We are then given a very detailed description of the above verse in Revelation chapters 17-18. God’s relationship with Israel, and Israel’s spiritual adultery, is portrayed through the book of Hosea as well. Babylon the Great sits on many waters, which is explained in Rev 17:15,18 as peoples, multitudes, nations, and tongues. She, along with the beast she rides (who rose out of the sea in Rev13), reigns over the kings of the earth. It appears that this city becomes the head of a world empire, or is raised above all other cities in the world. This is foretold in the Messianic Kingdom prophecies (Zechariah chapter 12 & 14, Isaiah 66). The antichrist will try to appear to fulfill these prophecies and convince Israel that he is ushering in the Messianic Kingdom. In Revelation 18, we do indeed see people bringing gifts and making pilgrimages to Jerusalem just as they will in the true Messianic Kingdom. This “great city” corrupts the whole world with her fornication. Jerusalem will promote the antichrist so intensely and passionately, that the whole world will be enticed (and likely pressured) to worship the beast. It seems that Jerusalem embraces the antichrist as her Messiah, and not only that, but as “god” himself. Her cup contains her own sin and idolatry, and the nations are made drunk with her idolatry. She rides a scarlet beast with seven heads and ten horns, covered in blasphemy. We have seen this beast before, in Revelation 13:1. The beast is almost universally understood to be the antichrist. The antichrist is full of blasphemy (Revelation 13:1-6, Daniel 7:8, 20, 25, Daniel 11:36, 2 Thessalonians 2:4). The Great City is upon his back, but is a drunken passenger – she has no reigns or control. Mystery Babylon is dressed in purple and scarlet, which are the colors of royalty. She is clothed in fine linen, and decked in gold, precious stones, and pearls. These all have strong parallels to Israel’s temple and to God’s clothing of Israel as described in Exodus, Leviticus, and Numbers. She fulfills the role of an idolatrous high priest. (But is not the False Prophet). Upon her forehead is a name, “Babylon the great, mother of prostitutes and of earth’s abominations.” Of note is that her name is on her forehead, just as upon Aaron’s forehead was written “Holiness to the Lord” as high priest. The 144,000 sealed Israelites in Revelation 7 are also marked upon their foreheads. This is some kind of stamp, or seal, of loyalty and allegiance. It marks the bold and wholehearted belief that is out in the open (not concealed). The fact that the name is a “mystery” is an argument against it being the actual restored city of Babylon. In Revelation 11, Jerusalem is called by the names of Sodom and Egypt according to the sins of those cities. Now Jerusalem is being called Babylon, as she is spiritually reflecting the sin of that city – the heart of the antichrist religion. Jerusalem is the mother, and her inhabitants are her “children” or “daughters”. The mystery is because she shares Babylon’s sins, its’ power over the other nations (Babylon was the “world capital” at that time) and will face similar judgment. End-Times Jerusalem, in promoting the antichrist as messiah, will kill a lot of saints who believe Jesus is Messiah. We are told that the antichrist chooses Jerusalem to set up his “palatial tents” and is where he declares himself to be “god” (2 Thessalonians 2:4, Matthew 24:15, Daniel 11:31-32). While many cities and nations have persecuted saints in the past, Jesus defines the worst period of persecution as yet future. This event (the abomination of desolation) begins the greatest religious persecution of all time against true believers in Jesus Christ, and it centers around the city of Judea (Jerusalem) (Matthew 24:15-21). Revelation 17 goes on to describe the beast/antichrist in greater detail, which I will discuss in a separate post. You beautify yourself for nothing. they want to take your life. This is exactly what happens in Revelation 17-18. The beast and his ten kings aren’t the only ones to act in judgment upon Mystery Babylon. God will judge her too, with the 7th bowl of His wrath. This involves earthquakes and giant 100-pound hailstones. Chapter 18 of Revelation gives a further detailed vision of Mystery Babylon’s destruction. An angel declares that “Babylon the great is fallen, is fallen” (Rev 18:2), which is the exact phrase used when the literal city of Babylon was destroyed (Isaiah 21:9). Its’ destruction is imminent and certain. It has become the home of demons. The antichrist, possessed by satan, ruling from Jerusalem is the epitome of satan’s blasphemy against God. In Michael Heiser’s Unseen Realm, he discusses the allottment of the nations by God after the tower of Babel. Israel is the land and people that God chooses for Himself; hence, it becomes the bulls’ eye target for satan. Israel’s history confirms this. Satan, through the antichrist, seeks to “change the times and laws” by setting up his rule on God’s property – God’s holy ground. It’s his final attempt to resurrect his religion, his own worship and perhaps offering to humanity that “ye shall be as gods”. That the majority of Hebrews will go along with this and raise him up as messiah is the mystery that leaves John absolutely astounded. That most of Jerusalem is not aware that she is worshiping the antichrist is seen in Revelation 18:7, where she “sits as a queen and is no widow”. 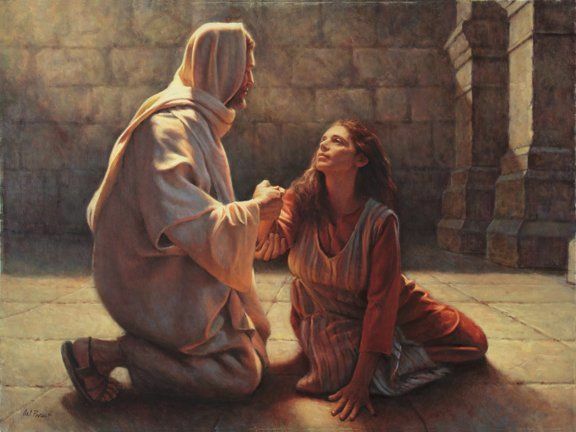 Jerusalem believes she has found her true King. The fact that she is not a widow could refer back to the beast’s resurrection from the dead. It also is the exact phrase used by the ancient city of Babylon right before its’ destruction (Isaiah 47:8). Mystery Babylon is wrong, she will indeed see mourning. Revelation 18:8 states that “For this reason her plagues will come in a single day, death and mourning and famine, and she will be burned up with fire; for mighty is the Lord God who has judged her”. Verse 10 adds “Alas! Alas! You great city, you mighty city, Babylon! For in a single hour your judgment has come.” Her destruction will come swiftly and suddenly. This hearkens back to Jesus’ statement that he will come as a thief, as well as His statement about “no man knows the day or the hour.” (Matthew 24). The Day of the Lord both begins and ends with Jesus coming suddenly and unexpectedly with destruction upon those who are not watching. Both times, however, those who are watching do not need to be taken by surprise. At the beginning of the Day of the Lord, the believing body of Christ is snatched out – away from the time and place of wrath. At the end of the Day of the Lord, the believing remnant has one last chance to “come out” before the final bowl of wrath is spilled upon Jerusalem. The kings of the earth who mourn her destruction and wail at the smoke of her burning are not part of the beast’s 10 kings who help destroy her. These are the nations that are “living deliciously” with her through financial gain. Note that the merchants sell to her all kinds of items specifically used for Temple worship: gold, silver, jewels, pearls, fine linen, purple cloth, silk, scarlet cloth, all kinds of scented wood, all kinds of articles of ivory, all kinds of articles of costly wood, bronze, iron and marble, cinnamon, spice, incense, myrrh, frankincense, wine, oil, fine flour, wheat, cattle and sheep, horses and chariots, and slaves, that is, human souls (Rev 18:12-13). Mystery Babylon is held accountable for the “blood of the prophets and of saints and of all who have been slain on earth” (Revelation 18:24). Basically, end-times Jerusalem is being held accountable for all murders of the righteous from the beginning of humanity. In this way, the blood guilt of earth will be cleansed for Jesus’ Kingdom reign. Jesus says “for surely no prophet can die outside Jerusalem! Jerusalem, Jerusalem, you who kill the prophets and stone those sent to you…” (Luke 13:33-34). Jesus also says “Woe to you, teachers of the law and Pharisees, you hypocrites! You build tombs for the prophets and decorate the graves of the righteous. And you say, ‘If we had lived in the days of our ancestors, we would not have taken part with them in shedding the blood of the prophets.’ So you testify against yourselves that you are the descendants of those who murdered the prophets. Go ahead, then, and complete what your ancestors started!…And so upon you will come all the righteous blood that has been shed on earth, from the blood of righteous Abel to the blood of Zechariah son of Berekiah, whom you murdered between the temple and the altar.” (Matthew 23:29-32,35). We also know that the worst martyrdom in human history will originate from Jerusalem starting at the Abomination of Desolation. God’s judgments are true and just. Notably, Deuteronomy Chapter 21 details a procedure by which Israel was able to absolve itself of bloodguilt. If they had followed God’s commands, they would not have heaped judgment upon themselves. God always provides a way out, if only we would take it! Revelation chapter 18 ends with the utter and complete destruction of Jerusalem as Mystery Babylon. The entire earth is refashioned in a giant earthquake, and the area of Jerusalem is raised up onto a plain. Jerusalem, it appears, will be rebuilt along with a Millennial Temple described in Ezekiel 40-48. A possible view here that would support Mystery Babylon being the UNbelieving remnant of Israel, is that this could mean spiritual virginity, never having defiled themselves by worshiping other gods (other religions, or the antichrist). A support of this view might be that these did not become a part of the Great Harlot – Mystery Babylon. They are presenting themselves as a chaste, as opposed to in harlotry. These are children of the Truth (Jesus), as opposed to having the Father of Lies (satan). They are found blameless in the same way that all followers of Christ are blameless – they are clothed in Jesus’ righteousness. Jerusalem is not an economic superpower – This is an easy one. Israel is not currently an economic superpower but remember that the Bible is describing what Jerusalem WILL BE LIKE in the tribulation period. As soon as the rapture of the church occurs, mark my words, Jerusalem is going to climb to become the world’s economic superpower within 7 years. Mystery Babylon is involved in modern day slave trade – Again, an easy one. Of course Jerusalem isn’t in the slave trade business today. What modern first world nation is? It will BECOME involved in “trading souls”, likely Christians, in the tribulation period.